ATLANTA, October 9, 2018	(Newswire.com) - Agency Spotter releases the Top 20 Content Marketing Agencies Report for October 2018. 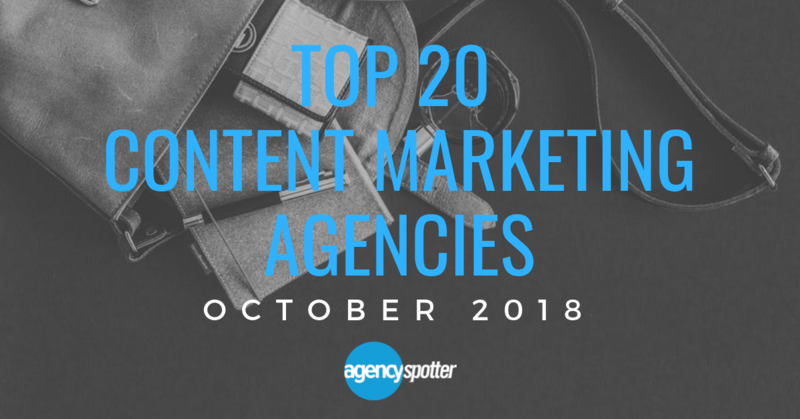 The report features the 20 best content marketing agencies out of hundreds of other local digital agencies on their website, www.agencyspotter.com. Leftchannel came in first on Agency Spotter's Top 20 Content Marketing Agencies Report for October. Leftchannel's focus lies in connecting brands with customers through meaningful storytelling. The agency exceeds clients' expectations which are proven through multiple five-star ratings and quality reviews on Agency Spotter. The staff at motion.tv, a motion design conference states, "When we saw the show open that leftchannel created for us, it evoked an emotional response in both of us. Never before had the concept of what motion is about been so accurately captured. We are truly grateful and humbled for the gift Alberto and his team have given us. Thanks is not enough." GoConvergence placed second on Top 20 Content Marketing Report. GoConvergence is consistent, executes under demanding deadlines, and brings fresh ideas that engage clients' customers through effective video and digital strategy.